NuToys has a long history of supplying exceptional park products and great service. Our staff is equipped to make planning or purchasing your project smooth and fun. We represent wonderful manufacturers who make safe, high quality, durable products. Creating value fun plans so you’ll get the most bang for your budget. Designing for maximum fun and maximum safety. Playground equipment design and revisions based on your philosophy of play, your site and your budget. Review of playground surfacing and other site issues. Making sense of Federal Playground Safety Standards and ADA regulations. 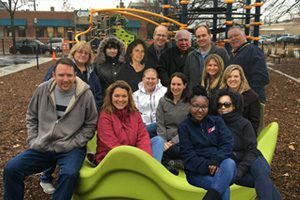 Help in locating a professional playground installer. Assistance with volunteer installation logistics. Quick supply of replacement parts. Make things right should things go wrong.